It is a condition that results from damage or trauma to the nerve tissue of the spine. In the neck and chest area of the spine that nerve tissue is called the “spinal cord”. In the lower back region that nerve tissue is called the “cauda equine”. Normally the spinal cord and cauda equine carry nerve signals between the arms and legs and the brain, resulting in our ability to move and feel. If the nerve tissue becomes injured, as can occur in a spinal fracture, there can be either total or partial loss of movement (paralysis) or sensation. 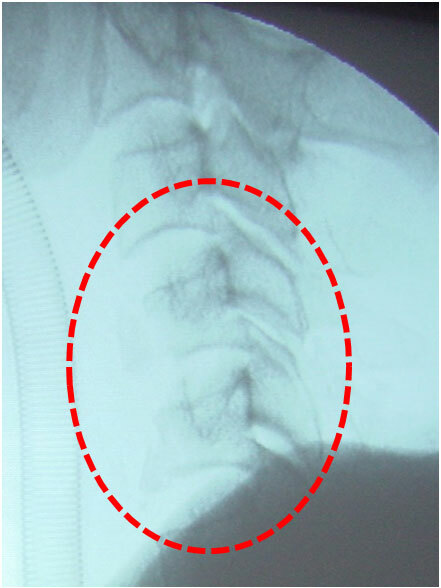 Spinal fractures occur when an injury is sustained to the spine resulting in a break or disruption of the spinal bones (the “vertebrae”) or the attached ligaments. The spinal vertebrae form the spinal column, which contains and protects the spinal cord and exiting nerves. Some injuries affect only the spinal column without disturbing the nerve tissues, while other, more severe injuries to the spine can result in temporary or permanent damage to the spinal cord and/or nerves. The diagnosis of these injuries relies upon radiologic studies including X-rays, CAT scans and sometimes magnetic resonance imaging studies (MRI) to visualize the damage. 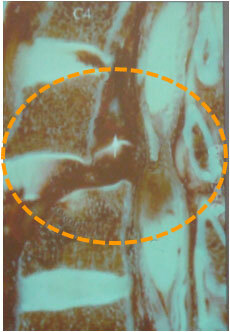 Treatment of fractures may require a brace or surgery or both depending on the extent of the injury. WHO DO SPINAL INJURIES AFFECT? Spinal cord injuries (SCI) remain a devastating condition for both patients and their families. These injuries also have a major impact on our health care system and society as a whole. There are approximately 11,000 new injuries in the United States each year with more than 250,000 people suffering from some degree of paralysis. Males account for roughly 80% of patients treated with spinal cord injuries. Much has been learned about SCI over the last few decades. Some of the most important advances relate to the evaluation, immobilization and transport of the spinal cord injured victim at the accident scene. Additionally, new technology in surgical and medical management has led to vast improvement in the quality of care, functional recovery and surgical of these patients. Unfortunately there are still no cures to treat all aspects of the injury, particularly paralysis. Persons with a spinal cord injury are prone to develop specific problems and complications later in life. A few examples of these complications are syringomielia (an abnormal and harmful fluid accumulation in the spinal cord), progressive deformity or instability of the spinal column and chronic pain. 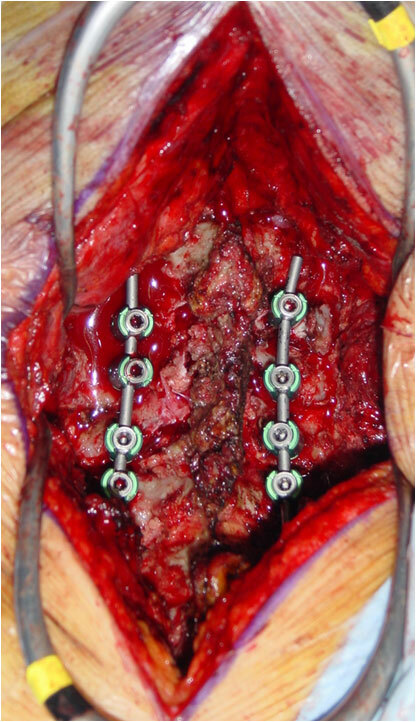 There have been many improvements in the long term treatment of spinal cord injury including surgical management of syringomielia, late post-traumatic deformity and pain control. Increased survival and life span for patients with SCI has focused the health care industry to develop strategies to enhance the quality of life for these patients through improvements ranging from lighter wheelchairs to development of fertility programs for the spinal cord injury patient. The types of accidents which cause SCI have been changing over the years. With industrialization, motor vehicle accidents (MVA) have become the leading cause of spinal trauma. Spinal cord injury due to violence is also on the rise as manifested by the number of persons injured as a result of assault. Particularly concerning is the increasing incidence of penetrating spinal injuries such as gun and knife wounds. Sports related injuries have typically drawn accidents such as suffered by Christopher Reeve and others have exemplified the potential dangers to the spinal column from horseback riding, football and other sports. HOW CAN SCI BE PREVENTED? Many, if not all, SCIs could be prevented by avoidance of dangerous or risky activities. The first step in this process is education about the causes and mechanisms of SCI. A major step in this direction was forged by Drs. Torg and Pavlov, researchers who determined that spear talking was a major cause of devastating SCI in football players, through their efforts, spear tackling was banned at the amateur and professional levels. Preventive programs which encourage children and young adults to modify risky behaviours have the greatest prospect of reducing the incidence of SCI. Numerous SCIs occur every year as a result of people diving head first into shallow water. The importance of safe and sober driving cannot be overstressed. Multifaceted driver’s education at both at the high school and adult levels should include examples of potential SCI as a result of accidents from impaired driving. Likewise, education on the dangers as well as safe handling and safe keeping of handguns could potentially reduce the number of these types of SCI. Determining the prognosis and ultimate recovery of function for a spinal cord-injury patient in some situations can be challenging. The spine specialist must take into consideration the patient’s neurologic examination (ability to move and feel in the arms and legs), age, radiologic studies (X-ray, CAT scan and MRI) and other clinical data to guide the patient and his family n the expected outcome for a specific injury. 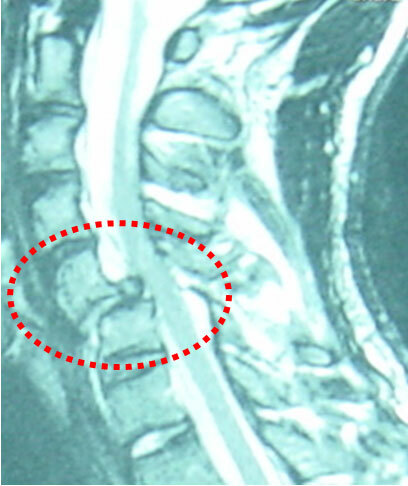 The extent of severity of the spinal cord damage affects prognosis. SCIs are described and classified using established criteria that take into consideration the neurologic function that remains after the injury. A complete SCI means that the spinal cord has absolutely no movement or sensory function below the affected area. Partial or incomplete SCI means that the spinal cord transmits some information to move the limbs or provides some sensory information from the skin. Typically, some recovery is expected for most patients who enter the hospital with an incomplete spinal cord injury; however, when patients present with complete injuries, the chance of regaining meaningful movement or sensory function remains slim. Initial treatment for patients with SCI focuses on improving the changes for spinal cord healing and recovery, prevention of further nerve damage and stabilization of injury to the structures of the spinal column. Depending on the type of injury, these objectives may accomplished simply by placing the patient in a collar, halo-vest or a body brace. 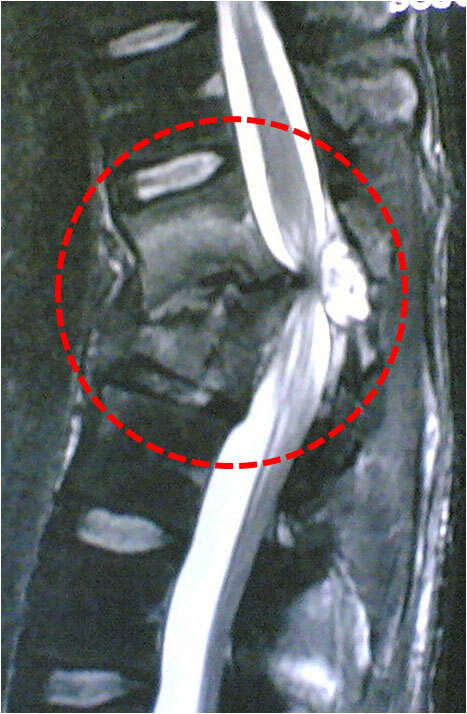 In many cases, however, surgical intervention maybe necessary; the decision to operate may be influenced by the patient’s other non-spinal injuries. Surgery is usually performed either by a neurosurgeon or orthopaedic surgeon who has special training in spinal surgery. In some institutions neurosurgeons and orthopaedic surgeons work as a team. 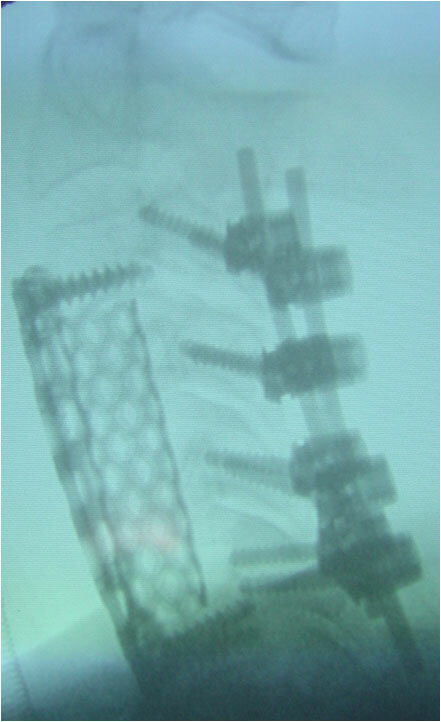 The surgical procedure often involves the placement of metal plates or rods and screws and bone graft material to fuse the injured spine. As part of the surgical treatment, the spine may be realigned or bone may be removed any pressure or impingement on the spinal cord. The initial stay in the hospital, after the injury and any corrective surgery, is focused on preventing and treating secondary issues which may surface as a result of the SCI. these potential problems include dangerous swings in heart rate and blood pressure (autonomic dysreflexia), respiratory failure, pressure sores of the skin, and blood clots in the legs. As soon as the patient is medically stable and is ready to be mobilized, he or she will start intensive therapy including physical and occupational therapy. This phase of care is often best accomplished in a specialized rehabilitation centre. Treatment includes muscle strengthening, teaching patients how to maximize their functional abilities for activities of daily living (including employment) and determining strategies for bladder and bowel care as well as sexual function. Spasticity (uncontrollable muscle spasms) and chronic nerve pain, can frequently accompany spinal cord injuries. Therapeutic and medication options, such as implanted pump delivery systems, should be a part of the spinal cord injury rehabilitation centre’s overall plan of care. The rehabilitation centre should also be able to provide access to counselling and support groups which can be extremely helpful to both the patient and family as they cope with the stressed and reality of living with a spinal cord injury.